By now we should have had a 5th birthday party and I should be posting pictures of all the delicious party food the little darlings ate, but I've had flu. I've been very poorly and we've had to postpone our youngest little minion's birthday. However fear not, because the party will go ahead. I have it on good authority that by next weekend I should be all better and raring to go - if a little battered and sore, and a few lbs lighter than I was on Mother's Day! Because we've delayed the party he hasn't seen these yet, but he is going to be absolutely delighted! I've even been sent pre-filled party bags. This isn't something I've ever used before, and I've got to say right now it's incredibly welcome because I don't have much energy for trawling the shops looking for something suitable. I'm really pleased with them too, because they are proper fillings and they only have one small bag of sweets, plus a bottle of Minions Bubbles, a strip of Minions stickers and a window crawler - or jelly-hand-man as we call them here! 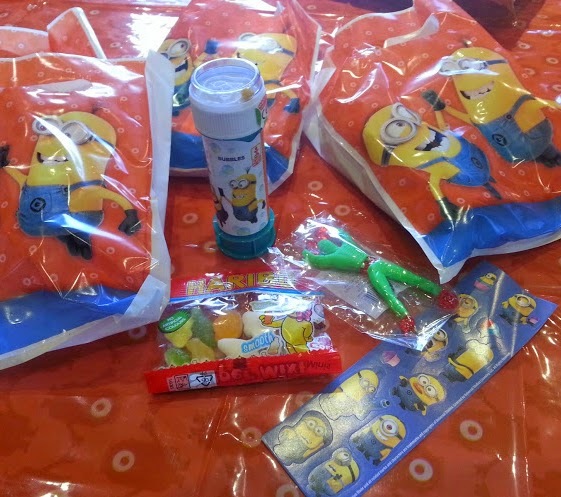 You can get all of these party supplies on the Party Bags & Supplies website, where they don't just do Minions, they do absolutely all sorts. Pre-filled party bags cost around £1.50 each, and if you want to make up your own then party bag fillers start at only 5p each. Party tableware costs around £2.50 for 20 character napkins and £2.25 for 8 character cups. 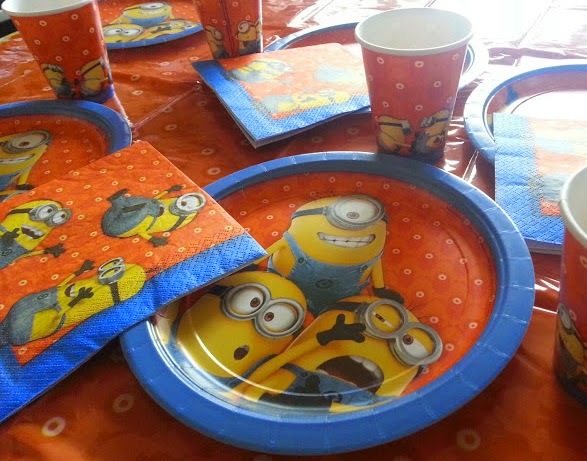 The Minions Party Supplies Tableware Pack which we were sent costs £9.98 for the tablecloth, napkins, plates and cups to suit a party for 8 children. Roll on next weekend, and roll on feeling much better! They all look fab! Perfect for any Minion fan! 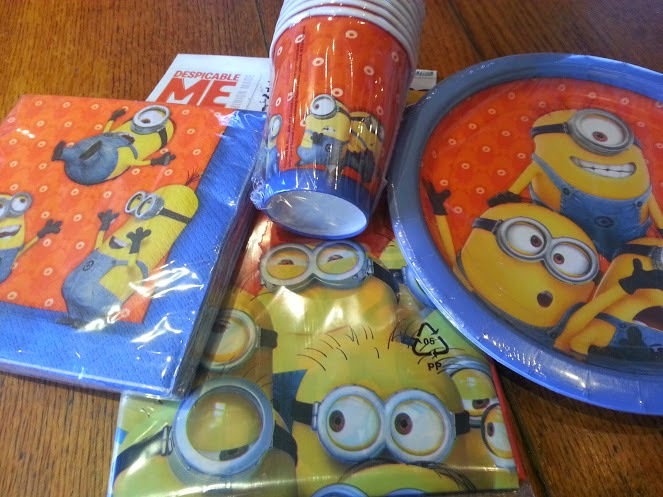 The minions party ware looks fun - I know Mister B would love it all. The pre packed bags are a great idea if you can't be bothered to do it yourself. Sometimes things like that just make life that little bit easy and hassle free! Totally. Party bags are a great thing, but they can end up quite expensive once you've bought a few bits here and there, nice to have a set price and no surprise when you tot it all up! they look great value! 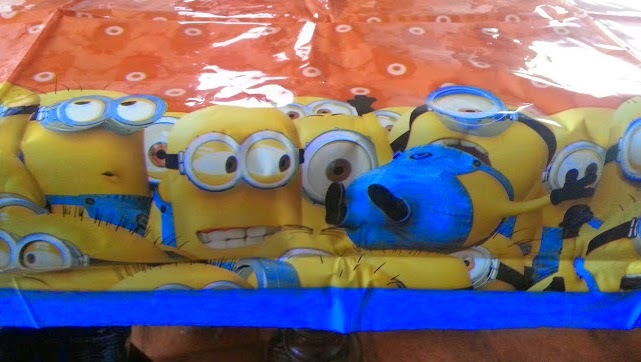 perfect for any minion fan party!